Adrian Clarke is looking at key tactical talking points ahead of Matchweek 34. 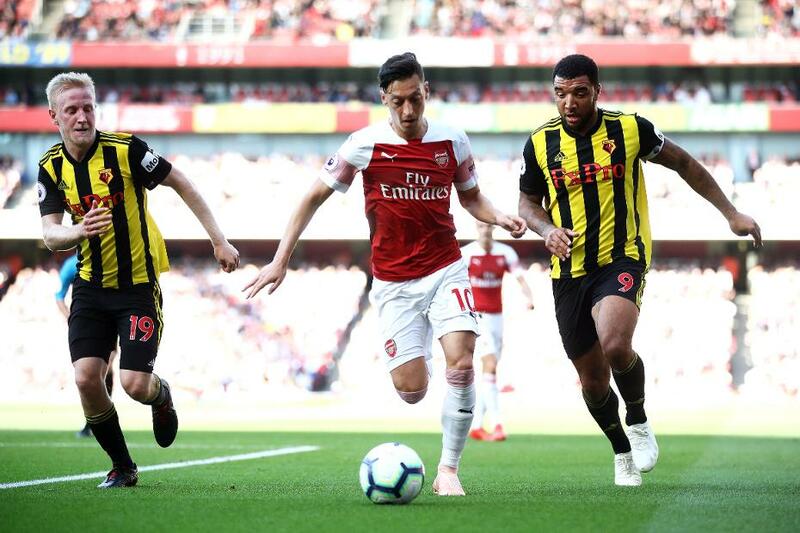 If Mesut Ozil starts at Watford on Monday, it will be the first time he has made consecutive appearances away from home since early September. The Arsenal midfielder has spent much of the season trying to prove he can fit into his head coach's plans on the road. Unai Emery has started Ozil in only six away Premier League matches, despite the team struggling when not at home. Arsenal's away record stands at P15 W5 D4 L6, picking up only 19 points. This ranks them 10th among all PL clubs. With four of their six remaining fixtures being away, Arsenal need to improve this record to finish in the top four. Could starting Ozil achieve this? Perhaps, but the German must have more influence away from Emirates Stadium. The 30-year-old creates far fewer chances and is yet to provide a Premier League assist this season on the road. This record might improve if Ozil is given a run in the side to build up his confidence and rhythm. His appearance in the 1-0 loss at Everton last weekend was his first away start since Boxing Day and only his second since 28 October. Ozil's tally of four goals and two assists from 20 appearances in 2018/19 is disappointing. This term he has struggled to hit top form while adapting to the defensive requirements of his new boss. But it can be argued that Arsenal are more reliant than ever on his creativity. They have created 268 chances from open play this season and had 382 shots. Those figures rank eighth and 13th in the competition respectively. Despite being in and out of the team, no player has created more opportunities for them this season than Ozil, with 36. In a side a little short of imagination in midfield, he is of paramount importance to Emery. To persuade the Spaniard to build the team around him in a free No 10 role Ozil needs to maintain good levels of consistency. In recent weeks Arsenal's head coach has used a 3-4-1-2 formation more, a shape that suits the German playmaker, who has enjoyed an uplift in form. Freed up from the responsibility of tracking opposition full-backs, his full attention is on opening up the opposition. There is no doubt Emery wants to get Ozil into his starting XI. He is not only his best chance-maker but also the most accurate crosser and best finisher at his disposal. Ozil has found a team-mate with 33.3 per cent of his crosses this season and boasts an impressive 66.7 per cent conversion rate. Amazingly, he has scored from all four shots he has struck on target in the Premier League. With figures that impressive, getting him into the penalty box is a must. Arsenal's quest for a top-four finish will not solely be dependent on Ozil's impact inside the final third, but if he begins to dominate matches, it will enhance their prospects.